A prosthetic limb center recently opened just outside Reyhanli, Turkey. 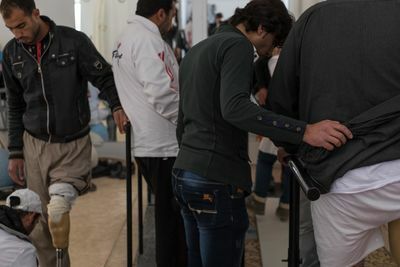 The center helps those who have lost limbs in the fighting in Syria. The center manufactures high quality prosthetics on-site, assigns them to the wounded and helps with the rehabilitation process afterwards. 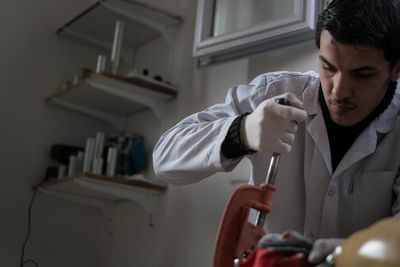 The clinic now produces limbs with a quality that can be compared to European standards, however, none of the staff at the center have a medical background. Some of the staff are previous patients, and have been trained by teams visiting from teams that also visit Pakistan, the UK and elsewhere in Turkey. The clinic is already treating up to 10 patients a day, but there are thousands more in need. To reach them those in need, there are plans in progress to launch a mobile center that will work from inside Syria next year. The process of fitting legs is difficult and also requires many check-ups afterwards. Raed al-Masri, the limb center's founder, gives advice to an amputee as he uses his new leg for the first time. 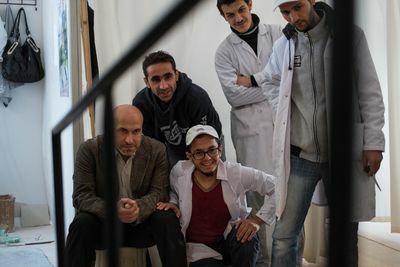 Al-Masri used to be a math teacher in Syria until he fled to Turkey and now runs the clinic full-time. A worker clamps down a prothestic limb for further adjustments. The clinic has produced more than 200 legs to date. The process of creating new prosthetic legs takes an average of two days. While none of the workers have medical equipment backgrounds, foreign training has allowed them to produce high quality prosthetics. 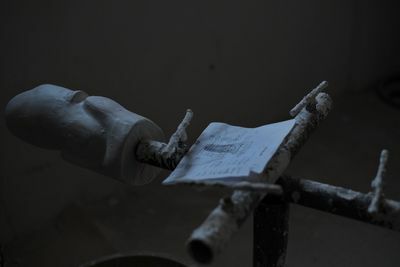 A worker for the National Syrian Project for Prosthetic Limbs makes minor adjustments to the mould of a thigh for a war amputee. A worker and two patients at the clinic pray early in the afternoon. Some of the amputees never thought they would be able to walk again, with the help of the NSPPL, now they can. A patient gives feedback to one of the NSPPL's technicians about how the leg fits. The transition to a prosthetic limb can be painful and frustrating. 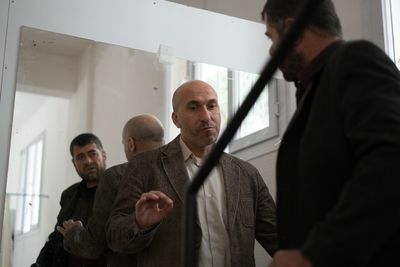 While the NSPPL has a rehabilitation center in Turkey, they hope to also set one up in Syria.